Once upon a time you made a campsite reservation by simply showing up. Now, with the launch of Washington State Parks’ new reservation system, it’s more convenient than ever to book online and early, but it also breeds a certain kind of anxiety for those of us without the time, energy or planning zeal to do so. First, for the basics, watch a video tutorial on the washington.goingtocamp.com home page. 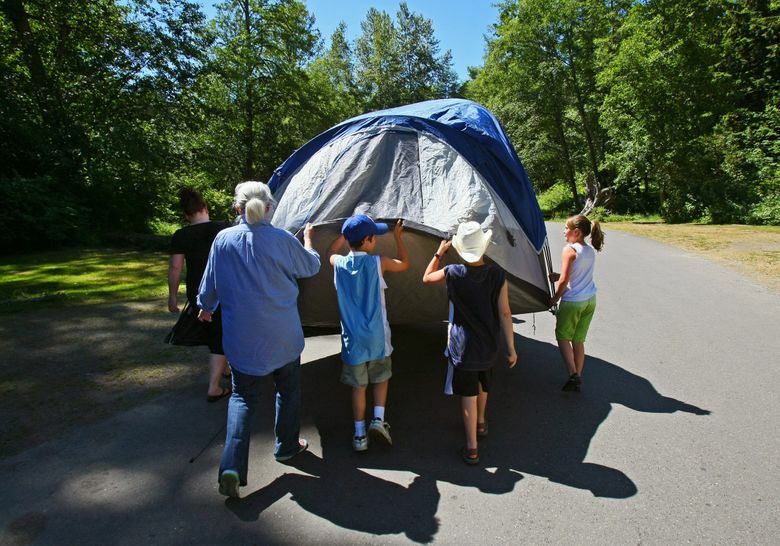 All 90 campsites at Camano Island State Park can now be booked online, as well as six group campsites in the San Juan Islands and seven day-use facilities. For the first time, the system is mobile- and tablet-friendly (and in my test of booking by smartphone, worked quite well). You can now make up to three reservations in one session; and you can make partial reservations (e.g., if you can’t find one campsite for the full length of your stay, you can book another site for the rest of your stay). You can more easily filter for different types of accommodations, from day-use shelters to campsites and vacation homes; and the system should save preferences such as discounts you qualify for. While you still can’t reserve the state park retreat centers online, you can see available dates for them (note: these under-the-radar group lodgings are amazing and affordable). Be patient: The new reservation system has experienced a very high volume of traffic, including logging more transactions on Wednesday, Jan. 16, the day it launched its new system, than on any single day last year. “There were nearly 4,600 reservations made and over 9,000 web accounts created or updated just on that day,” Meryl Lipman, communications consultant for Washington State Parks, noted in an email. Need more help? Post questions and glitches to Washington State Parks and Recreation Commission’s Facebook page or email them; they are quick to answer. You can also book by phone at 800-CAMPOUT.